If you have dull looking skin that you’re always trying to rejuvenate, you’ll definitely know what microdermabrasion is. If not, you’re missing out! Microdermabrasion works by using a specialized tool that glides over your skin while suctioning on to exfoliate away dead skin, leaving behind a fresh face. 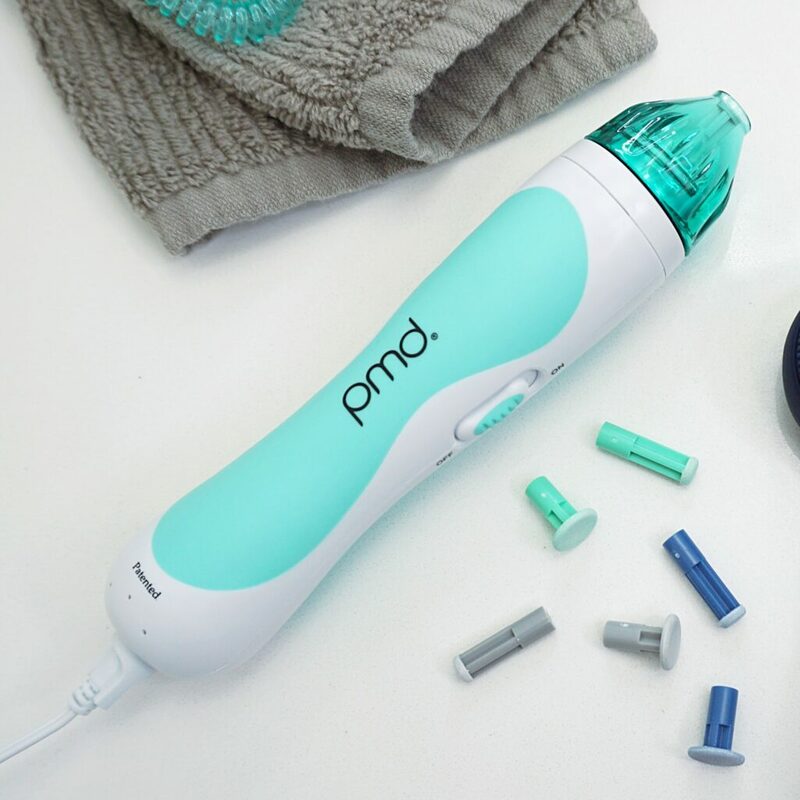 PMD has created the Personal Microderm ($159 USD) device that’s safe enough to use at home, giving you the same results you would achieve if you had gone to a professional. I was sent PMD’s classic Personal Microderm device which utilizes one speed and classic caps. The three other options they have available are Plus, Pro, & Men. The differences are the smoothness in caps, speed settings, and colours. I honestly don’t think there is any difference other than colours for the Men version. Before using this device, I went onto PMD’s website to learn more about it and see how to use it properly. For such a little device, it’s very powerful; it really suction’s onto your skin! After seeing how to use it, I thought it was straight forward and simple to use. It actually is, but for some reason I didn’t expect it to be so powerful. The first time I actually used it, it stuck to my face and instead of continuing to move it on my face, I just left it there and panicked to turn it off! I, for some reason, forgot that you have to glide it across your face instead of just holding it in one spot. My absence of knowledge caused me to have a small red circle on my cheek for a couple of days (easily covered with makeup!). Definitely follow the instructions and try this on your arm so you know what to expect! After getting the hang of it, it was very simple to use. There are different disks to choose from, but as a beginner you should start off with the white ultra sensitive disks. I could definitely see the difference in my skin after using it. My skin was super red for the remainder of the day, so I would suggest using this at night so your skin has the whole night to recover. I’ve been using it for about 4 weeks and have noticed my skin is smoother, but I don’t see any results on my blemishes or fine lines. 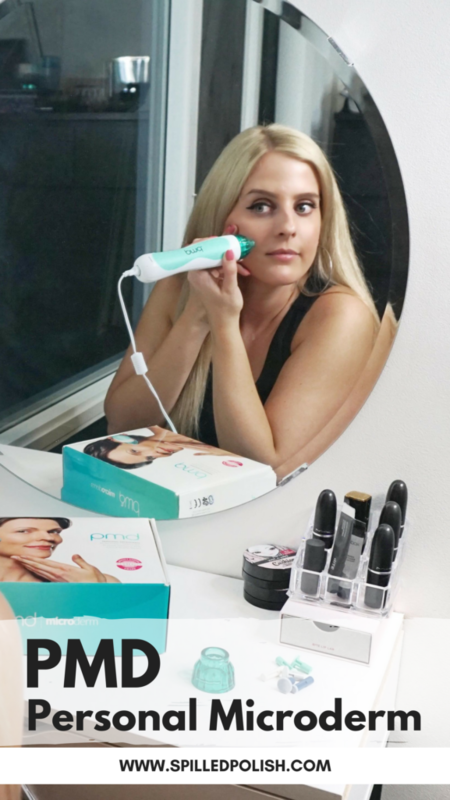 I have old acne scars that I would love to get rid of, so I am hoping with more use of this device, they will disappear over time. PMD says maximum results should be seen after 8-12 weekly sessions, so since I am only half way I am not disappointed that my blemishes are still visible. 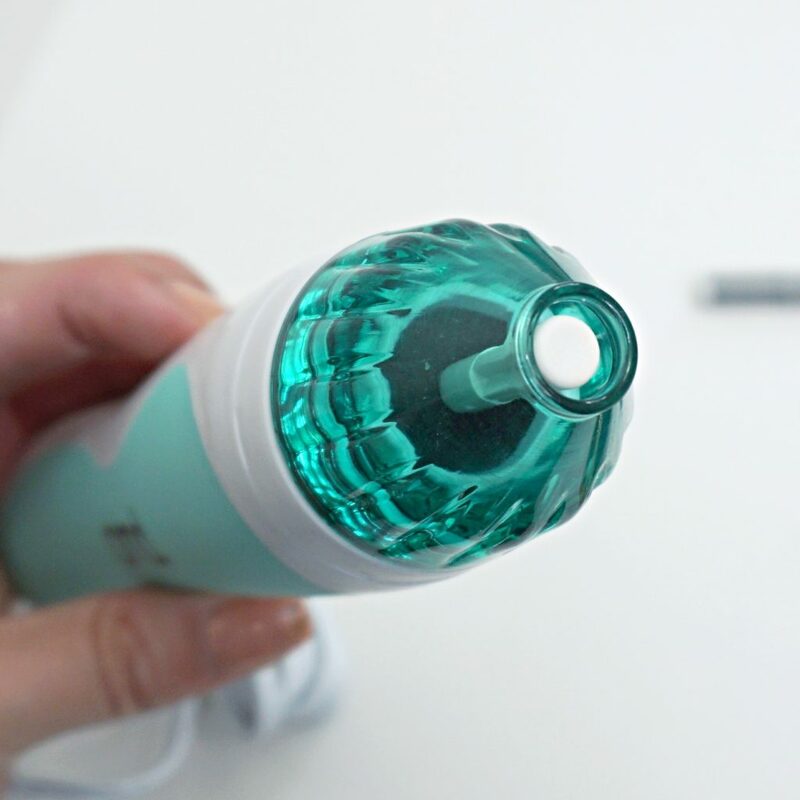 Would you ever try PMD’s Personal Microdermabrasion Device?